Amazon's #1 Seller in Mystery, Thriller Category. Audio Book Coming Soon. The son of Manhattan high societye Preston Wilson grew up with a platinum spoon. On the other hand orphaned as a child Joe Hart was raised by his working class Uncle Howard and Aunt Lettie with a sterling silver spoon. Whereas Preston has an extremely easy path to success; Joe works his way through the US Navy, college and law school. They met as teens when Joe saved Preston’s life in the Adirondacks. Years later, a distraught Preston is in deep financial trouble and needing a lawyer. He asks Joe to represent him; Joe agrees on the stipulation that Preston owes him a debt that one day he will collect. Preston accepts the strange terms. Not long after reluctantly agreeing to help, Joe saves his client from financial ruin. The attorney demands remittance. He directs Preston to obtain the trust of Joe’s friends “The Collectibles”; as he expects Preston to care for these troubled people when he soon cannot. He explains he helps them as homage to his uncle helping him. Johnny is a mentally challenged dishwasher; Missy is a domestic abuse victim waiting tables; Tommy is a gambling addict; Harry is a bipolar photographer and Corey is a carpenter suffering from early Alzheimer’s. This is a character driven inspirational tale that makes a case for people to select and help “Collectibles”. The key to this strong message is that each of the Collectibles contains different personalities and woes. Joe shows first hand by example to Preston that life has no meaning if you fail to, as his uncle said,” … help the other fella”. This work is si thought provoking, readers will reflect on who their “collector” is and who their “collectibles” are. “Mr. Kaufman has written a fine novel. The character development in The Collectibles is excellent and the setting descriptions place the reader right in the center of all the locations and there are alot. It’s been a lovely read. I laughed, I cried and I wished for more. Joe Hart is a fascinating character and there is the promise of learning where life takes his Collectibles in the future. I trust we can expect to find out one day. Without being overly sentimental, there are life lessons to be carried away and that’s a challenge for an author to maintain. Other reviewers have written well about the story line. Suffice it to say that Mr. Kaufman deserves to join that long line of distinguished North Carolina authors. There is an art to crafting a well written book and he should be very proud of having succeeded in his first effort. It’s so nice to discover another new favorite author. “Love and Fear Caught up in the Discomforts of life. 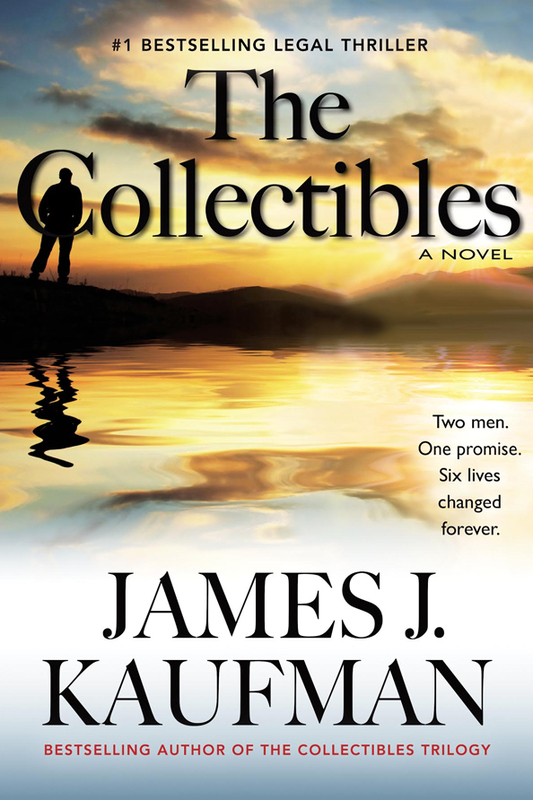 The Collectibles gives the reader a unique perspective of life because it provides a window into what people value and why they value it. Two very unlikely people meet in a most unlikely way. Preston Wilson emerges from affluence, having never learned the meaning of earning his way. This leads him into trouble. His counterpart, Joe Hart, was an orphan, mentored by his uncle, and grew up in a working class family. Joe struggled to attain an education, subsequently overcoming all obstacles to be an attorney.Joe crossed paths with Preston the first time around as teenagers when he saved Preston’s life. In in cycle of life, when Preston found himself in all sorts of trouble, he learned that Joe had become a successful attorney and seek him as a legal counsel. Joe agreed to represent Preston on the condition that he would return a favor in the future. When Joe came to collect the debt Preston promised to pay, Preston was surprised to learn the unusual nature of Joe’s request. Preston must acquaint himself and earn the trust of a group of people Joe had befriended. For the first time, Preston faced the compromise of his life. “For a debut novel, Mr. Kaufman has outdone himself. This book is nothing short of incredible and extremely heartwarming. I wasn’t too sure about this book when I started it but when I finished it, I was so glad that I had the opportunity to read this outstanding story. “The Collectibles is a must read. It makes a believer out of us that Angels do walk among us, however most of them are of the corporeal variety. Joe Hart pulled himself up by his bootstrings from his unremarkable humble, but loving beginnings, beginnings that would stay with him for the rest of his life and always trying to live up to the words of his uncle. “Do what the other fella can’t. Be what the other fella ain’t. And help the other fella. After a tragedy that sets his world upside down he comes back to life with a vengeance to help a businessman who’s gotten himself in big trouble. Preston Wilson came from wealth and through out his life has tried to do one thing, never fail. Now in the face of the one thing he’s vowed never to let happen he seeks counsel from the one man he thinks can help him out. But Preston has a lot to learn before he can really be a true success, the question is, will he. If you, like I are used to that often used prose like flowery, flowing dialogue in literary fiction, you will be pleasantly surprised by this author with his every day and every man narrative and as you get deeper and deeper into the read you’ll understand the power it gives to the characters and the tale. Mr. Kaufman tells us his morality tale in his oh so mild mannered way so that no matter who reads it, from whatever walk of life, we all get it. It also makes it easy for his readers to see what a marvelous storyteller he is and he doesn’t feel the need to shout it, he prefers a whisper. His dialogue is matter of fact, easy to read and it just works. His words take us from small town America to big city lights, from beautiful seascapes to the casinos in Vegas and each of these scenes are vividly and easily recounted in the eyes and minds of his readers. His characters however are all stars in their own right and each one has his or her story and Mr. Kaufman tells them in a way that goes right to the heart and soul of his audience. The Collectibles is definitely a love story, the love of your fellow man, the love of family, the love of your friends and how that love can really grow once reciprocated. The lesson is simple, the question is did we learn it, and if we did can we or more importantly will we do it. This is a novel that everyone should and can read, no matter where you are in your life, no matter the circumstances.